What is Covered in this InterServer review? This InterServer review 2019, reviews key web hosting features, plans, and current InterServer discount deals. At the end of this InterServer review, you should be able to make up your mind whether to start or continue hosting your website with InterServer. This InterServer review is independent and this website is not owned by InterServer neither is this review an outright endorsement of InterServer services but rather an analytical look into InterServer as a web hosting provider. InterServer was founded in 1999 and their headquarters are in Secaucus, New Jersey, USA. InterServer currently hosts over 1,000,000 websites around the world and they are one of the old folks in the web hosting industry. Over the years our company has expanded it's product line to include dedicated servers, colocation and managed services. In 2006 InterServer built out their own datacenter in Secaucus, New Jersey. InterServer is an affordable web hosting company considering that their packages start at only $5.00/mo. Their primary advantage in the business is their vps servers that offer a clear choice between Linux and Windows operating systems. InterServer Shared hosting has only standard web hosting plan with terms running from month to month upto 3 years which is pretty much direct and helps one payment flexibility. The plan come with lower intro pricing at only $0.01/mo and is best suited for starter to already established sites with traffic. VPS is the heart of web hosting and InterServer offers affordable VPS Hosting with cPanel support. VPS Servers are perfect for literally every website. InterServer has a well managed support team to assist you with installation and other issues related to essentials like MySQL databases, Apache, Webmails, ... anything you may need relating to your site's hosting needs. 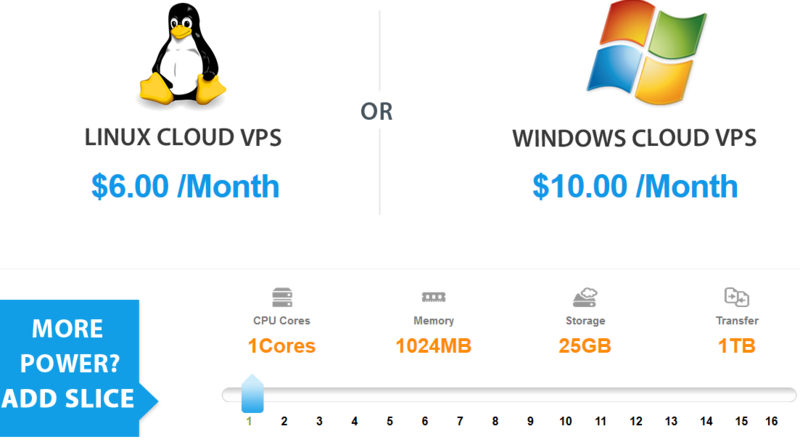 The VPS has a clear choice of LINUX or WINDOWS servers. The resources are scalable and you can adjust to your required resources. The attributes shown are only for the most basic VPS package. There are lots of reasons one may need a dedicated server. Mainly it may be because you’ve outgrown your previous host or know you have larger-than-average needs like for instance an eCommerce store or a rapidly growing site with large traffic. If that sounds like you, InterServer is the place to be without breaking the bank. InterServer dedicated servers are built on in-house cloud technology, thus ensuring a fast and flexible dedicated server with instant setup and seamless migrations. InterServer doesn’t charge additional fees if you go over your plan, because they too get it that no one wants to be punished for getting popular. Instant Provisioning: Whereas most dedicated solutions take hours or days to activate, InterServer technology allows provisioning of dedicated servers immediately. Your server is standing by so it's ready for you the second you need it. RAID Storage: InterServer uses only high quality storage with RAID level 1 support on their dedicated servers. Your drives are completely mirrored, ensuring your data is extremely well protected. This feature is not found on most dedicated solutions. Root Access: For advanced users, InterServer offers improved control panel with optional root access, giving you full control of your server. 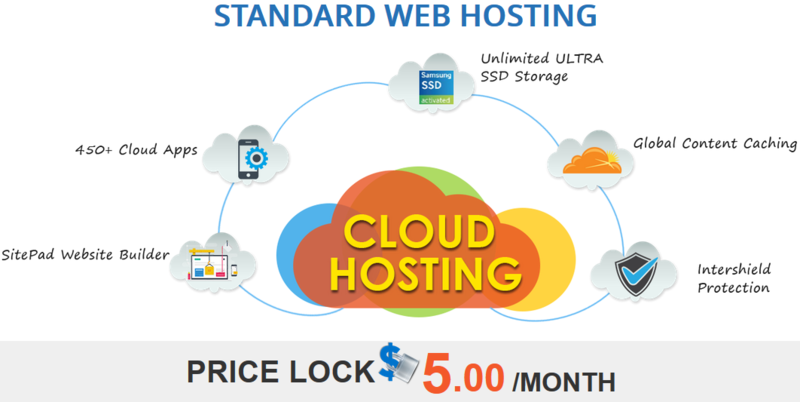 Affordable hosting plan: for only $5.00 monthly, you will get a hosting plan that includes all the necessary features that is needed to start and run a successful small website. The security features on InterServer are just excellent. Guaranteed customer satisfaction: with the 30-Day money back guarantee offered by InterServer, you have enough time to test and have a good view on their service and support. Please note that domain price will be deducted from the amount of refund. Check InterServer’s terms to see how how the refund works. Most customers report that InterServer is fast. Integrate with CloudFlare, and you’ll get even better performance. InterServer’s Quick Install tool enables you to automatically install your favorite software to your domain. This tab contain the most used content management, blogging and eCommerce platforms (WordPress, Drupal, Joomla, Concrete 5, Magento eCommerce, OS Ticket, phpBB Forum, B2Evolution blog, PrestaShop eCommerce). If you prefer other software, just click the QuickInstall icon in the control panel and you will be able to choose from hundreds of software including Moodle, ZenCart, Sugar CRM, Modx, Nucleus, Typo 3, Xoops, MediaWiki, and many others. Is InterServer good for WordPress Hosting? Are they actually good for WordPress hosting? From our tests, it resulted that InterServer is a good hosting service for WordPress sites. It is obvious that they offer managed WordPress service, and the shared hosting plan is not for high traffic websites. Smaller, medium to large sites built with WordPress receiving lots of visitors daily will have a very good performance with InterServer. What Control Panel Platform Does InterServer Use? Your hosting account is managed through customized cPanel control panel. After your first login into your InterServer hosting account, you can choose cPanel to manage your websites, emails etc. It is the same cPanel that you are used to using on other cPanel hosting providers, with all the same features, just a bit customized by InterServer. How to use InterServer’s Website Builder? When you access your InterServer account for the first time, on the main screen you will be asked to choose between cPanel hosting or Website Builder. If you want to install WordPress or other CMS to your site, you will need to choose cPanel, however if you choose to create your site using the drag and drop site builder tool, you will have to select the Website Builder. InterServer: cPanel or Website Builder? Because we have received few emails from our readers regarding this question, we decided to add some extra information to this review. As stated before, InterServer offers multiple ways to build your website. Another option to create your website at InterServer is to use WordPress, or other similar content management system. 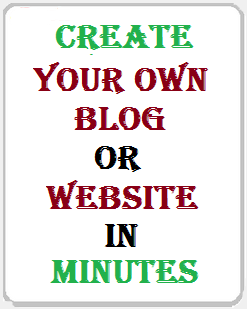 As mentioned before, WordPress is also a very simple and easy to use software. With WordPress you can build more complex websites and expand them in the future. The website builder is limited compared to WordPress. Does InterServer Offer Free Webmail Access? InterServer is a well-known hosting company that offers various services from domain registration through web hosting service to email hosting. Often we run into the same question, so we wanted to clarify this. We have been asked if InterServer offers webmail access. In short, Yes! InterServer does offer access to webmail through their platform. InterServer hosting services offer lots of features to its clients, including webmail access. The Webmail is a web-based email solution, which allows the user to access email account through a web browser. With InterServer webmail you will be able to perform the same tasks like with any email client. The only difference is that you will be able to read and write email from your web browser. You will also have to remember your email address and password in order to login from FireFox, Chrome, Opera or your favorite browser. No phishing or spoofing: Free email accounts are targeted daily by hackers who try to trick you into giving up your most sensitive information. InterServer WebMail blocks these threats to stop them from ever appearing, leaving you with an inbox of only the email you want to see. When you first access InterServer webmail application, you will be asked to choose a webmail client. You can choose from Roundcube, Horde or SquirelMail. Amazingly, you can choose a different webmail client every time you login to your account, or you can opt for the autoload function if you already have a favorite. Roundcube: is the most popular webmail client used by InterServer clients and has the same look and feel as any other email application. You can import and manage address book and can organize folders too. Writing emails is also simple with the rich text html composer and spell checker. Maximum Email Numbers per Hour: by default, InterServer limits each customer to send a maximum 150 emails per hour. In a day-by-day situation, when sending out business emails, this number won’t be a problem. But if you send out an email to your email list, that contains more than 150 recipients, you will get notified by the system, that you exceeded the maximum amount of emails. If you have more than 150 email subscribers, you can split it in multiple lists, and schedule the emails to different hours. Forwarders can also cause similar problem. So always check these two before contacting support. If you would like to increase the number of emails you can send per hour, you should contact support and give them details why you need a cap increase. Email Server is Down: due to technical problems sent emails can queued up on InterServer’s mail proxy server. In this case you should wait couple of hours for the email to be sent out, before you try re-sending. All in all, InterServer offers feature-rich services when it comes to webmails. Their webmail application will make it easy for everyone to access and manage their emails from anywhere in a securely manner. If you are looking for a reliable hosting that offers an easy to use webmail App, InterServer should obviously be on top of your list. If you want to transfer your domain to InterServer you should get in touch with the support, because they have to initiate the domain transfer for you. If you want to move your domain out from InterServer, first you should find another hosting provider or domain registrar to move the domain to. You will need the domain to be unlocked and to get the EPP key, which can be obtained only from InterServer’s billing department. If you want to hide your personal information on your domain whois, it is a good idea to purchase domain privacy. You can find this service in your InterServer control panel. Security is an area where InterServer excels. You get three layers of anti-spam protection in the form of Spam Experts, Spam Hammer, and Apache Spam Assassin. You get protection for your inbox as well; it is easy to set up filters. Your directories are all password-protected. InterServer also offers single-click integration with CloudFlare, which provides even more excellent security features and speeds up your site! CloudFlare is particularly good for thwarting DDOS attacks. What Payment Methods does InterServer Accept? You can buy InterServer hosting plans using a credit or debit card (VISA, MasterCard, Discover, American Express). ** Credit/Debit card payments are preferred. You can also make payments with PayPal. Some electronic cards may also work, but prepaid and gift cards are not accepted. At the time of writing InterServer does not accept payments in cash, bank wire transfer, Moneybookers (Skrill), Webmoney, AlerPay, Bitcoin and/or other similar payment methods also miss as payment options. Who is InterServer Best For? Customers who are looking for a reliable web host with a strong reputation. InterServer is one of the oldest names in the business and has established trust. Owners of both large and small businesses. InterServer is fine if you are on a budget compared to other costly high-end hosting services out there. InterServer servers are powered by wind energy making them eco-friendly. For those of you who like to conserve our environment, InterServer Hosting has you covered. The InterServer customer support are World-class and well committed to supporting every client at every step of their needs. They offer a hand-ons approach in technical assistance especially in the web creation and maintenance areas.